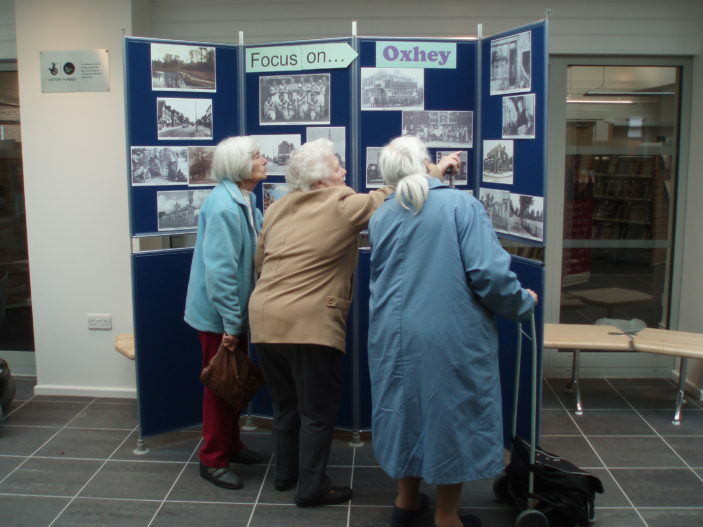 18th March – A Tea Party is held to celebrate the public launch of Our Oxhey at the AGM of the Oxhey Community Library Steering Group. June – Stall at the OVEG Fayre gets rather wet! 9th October – We celebrate the 5th birthday of the new library building with a tea party, a book launch, a photo exhibition and a talk about the Krays.